‘The Music of Pixar Live!’ will make it’s debut at Disney’s Hollywood Studios summer 2017. 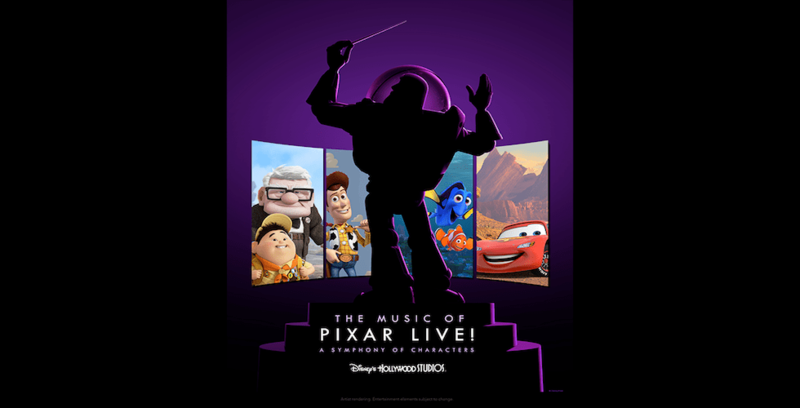 Disney Parks via their official blog have announced that “The Music of Pixar Live! A Symphony of Characters,” a new live, limited-time concert complete with appearances from your favorite Disney-Pixar characters. Beginning May 26, “The Music of Pixar Live!” will be performed three times nightly at the Theater of the Stars at Disney’s Hollywood Studios at Walt Disney World Resort. Currently, this is also the theater that presents “Beauty and the Beast – Live!” These new nightly concerts will follow the stage show after the daily performances have concluded. The new concert will highlight all of your Disney-Pixar favorites, including “Cars 3,” “Toy Story,” and more. Appearances from characters like Mike, Sulley, Woody, Jessie and the Incredibles can also be expected in the all new show.